Deep underground in the Large Hadron Collider at CERN, beams of protons travel around in circles at almost the speed of light before they are collided head-on. These high-energy collisions produce large numbers of tiny, short-lived particles that quickly decay into lighter, more stable particles. Investigating these particle decays allows physicists to catch a glimpse of the early history of the universe. 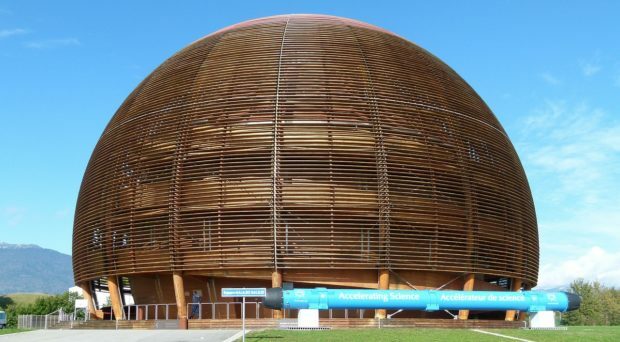 In new work published in EPJ Techniques and Instrumentation, Marianna Fontana and Donal Hill describe the method to create calibration samples that help determine the accuracy of the detector in the Large Hadron Collider beauty experiment in identifying different particles. Read the guest post by Donal Hill & Marianna Fontana, originally published in the SpringerOpen blog. 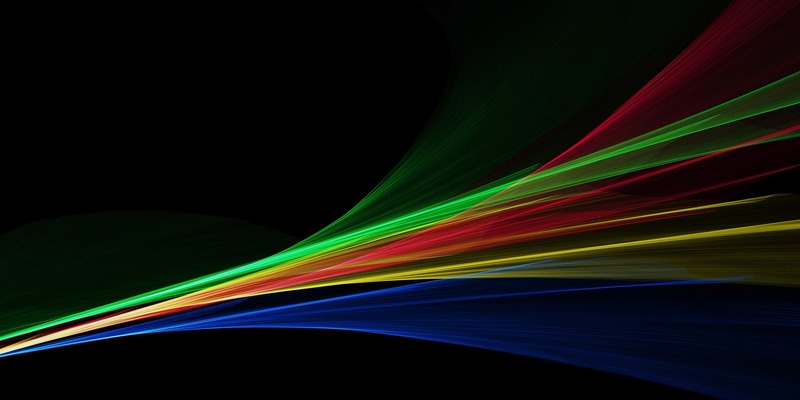 In recent years, it has been demonstrated that neutral molecules can be loaded on a microchip directly from a supersonic beam. The molecules are confined in microscopic traps that can be moved smoothly over the surface of the chip. Once the molecules are trapped, they can be decelerated to a standstill, for instance, or pumped into selected quantum states by laser light or microwaves. Molecules are detected on the chip by time-resolved spatial imaging, which allows for the study of the distribution in the phase space of the molecular ensemble. In this Tutorial Review article, part of the thematic series for Methods for Cold Molecules and Ions, the author introduces the techniques used to trap cold molecules on microchips, and reviews some of the recent developments in this field. First, the essential features of microchip design and the necessary experimental setup are described. Then, the problem of nonadiabatic losses from the microtraps is addressed and the most viable solutions are presented. Further, some recent results on state transition of trapped molecules are presented, involving rotational and vibrational transitions. And finally, on-chip detection and imaging is briefly discussed. As part of the new Thematic Series ”Methods for Cold Molecules and Ions: Tutorial Reviews” (Guest Eds. Stefan Willitsch, Hendrick Bethlem, Bob Continetti), EPJ Techniques and Instrumentation features two tutorial style articles from the group of Sebastiaan van de Meerakker (Radboud University, Netherlands). A new review article has just been published in EPJ Techniques and Instrumentation, opening a new Thematic Series ”Methods for Cold Molecules and Ions: Tutorial Reviews” (Guest Eds. Stefan Willitsch, Hendrick Bethlem, Bob Continetti). Merged neutral beams (EPJ Techniques and Instrumentation 2015, 2:10) by Andreas Osterwalder (EPFL, Switzerland) presents a detailed description of a merged beam apparatus for the study of low energy molecular scattering. In the experiment performed, a supersonic expansion of paramagnetic particles is merged with one of polar molecules, whilst a magnetic and an electric multipole guide are used to bend the two beams onto the same axis. Intended to inform any scientist who plans to construct a similar experiment, the article describes in detail how the apparatus was designed, characterised, and operated. A recent Review Article in EPJ Techniques and Instrumentation provides an overview of the latest data processing and pre-processing methods commonly used in Raman and IR spectroscopy, including imaging for better qualitative and quantitative analysis of biological samples. Raman and Infrared (IR) spectroscopies provide information about the structure, functional groups and environment of the molecules in a sample. Over the past few decades Raman and IR microspectroscopy based techniques have been extensively used to understand fundamental biology and responses of living systems under diverse physiological and pathological conditions. The spectra from biological systems are complex and diverse, owing to their heterogeneous nature consisting of bio-molecules such as proteins, lipids, nucleic acids, carbohydrates etc. Therefore, interpretation of the results obtained is difficult and to overcome this various data mining methods are employed. These methods must be suitable for handling large multidimensional data sets and for exploring the complete spectral information simultaneously. This short review, part of the Thematic Series on Raman Spectroscopies, describes the application of Raman micro-spectroscopy to measure the molecular properties of stem cells during differentiation in-vitro. The paper focuses on time- and spatially-resolved Raman spectral measurements that allow repeated investigation of live stem cells in-vitro. 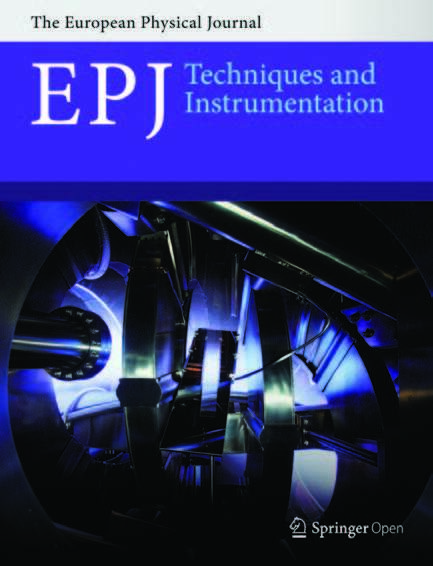 The publishers are pleased to announce the publication of the first articles in the latest EPJ open-access journal – EPJ Techniques and Instrumentation. EPJ Techniques and Instrumentation focuses on the design, implementation, and application of new techniques in all areas of the physical and applied sciences. Thank you for the rapid response at every stage of paper submission!